Nominations are now open for the 2016 Business Awards and Hall of Fame. The event is presented annually by Business Report and Junior Achievement. The categories include: Business Hall of Fame Laureate (for a lifetime of achievement), Company of the Year (under 100 employees), Company of the Year (100 or more employees), Young Business Person of the Year (40 or under) and Business Person of the Year. To nominate your company, yourself, a client, vendor or friend, complete the form below. Click here to see past honorees. Nominations will close Friday, Oct. 30 at 5 p.m. 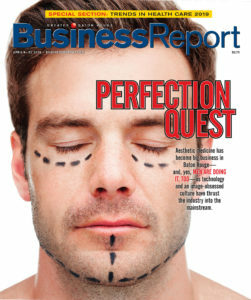 Winners will be profiled in a March issue of Business Report, and will be honored at a gala on March 17. Awarded for a lifetime of business achievement. Candidate must have made a significant economic impact on the greater Baton Rouge community. Laureate may be inducted posthumously. 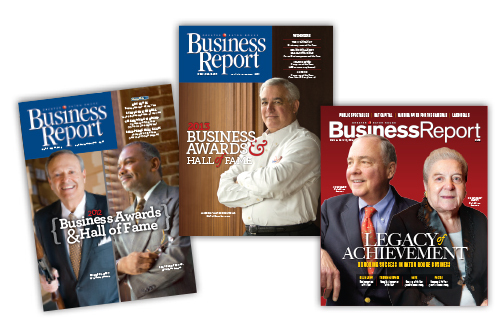 Awarded to the top local business executives or entrepreneurs during the past year. Award is based on successful demonstrations of leadership, vision, ingenuity and/or innovation. Nominee must be 40 years of age or younger on December 31, 2015. Awarded to the top local business executive or entrepreneur during the past year. Award is based on successful demonstrations of leadership, vision, ingenuity and/or innovation. Nominee must have 100 or more employees. Awarded to the companies with the top free enterprise achievement during the past year. Company must be based or have major operation in the greater Baton Rouge area. Nominee must have less than 100 employees. Awarded to the companies with the top free enterprise achievement during the past year. Company must be based or have major operation in the greater Baton Rouge area.